For the fight fans the venue and date are familiar, especially the fans of heavyweight. Why? This is because we witnessed a great action battle between two heavies, both over the mid-240-pound range, we saw gore and blood, huge bombs landed, courage and heart on the line, and we were left seeking to see a rematch. 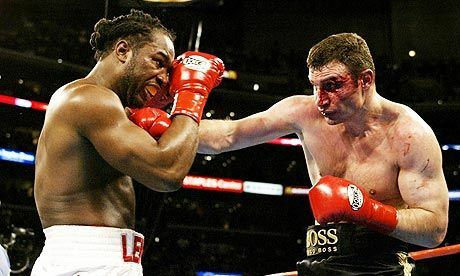 However, one of the biggest reasons why fans of heavyweight still talking about this fight, which was won by Lewis through corner retirement at the end of the sixth round on the part of Klitschko, is for the reason that we all assuming what would have happened; what might have happened;. WLADIMIR KLITSCHKO TO SEEK REMATCH WITH AJ? 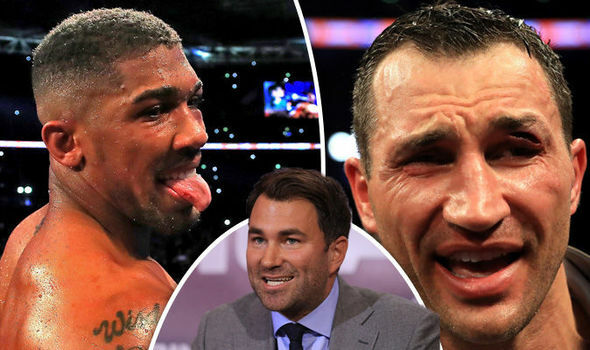 Comments Off on WLADIMIR KLITSCHKO TO SEEK REMATCH WITH AJ? There have been numerous speculations seeking to pitch Wladimir Klitschko against Anthony Joshua for a rematch later this year. The six foot seven former heavyweight champ was recently in Los Angeles, where he admits he comes a lot. Tony Jeffries made the revelations that the Ukrainian fighter came to his gym with his guys but gave little away of their plans. Jeffries claimed that Joshua was a very popular figure in the States, even more than Deontay Wilder – a top contender for Joshua to face next in a unification match. The Olympic bronze medallist Jeffries said aside the Mayweather-Pacquaio fight, the Klitschko-AJ fight was the next most talked about. 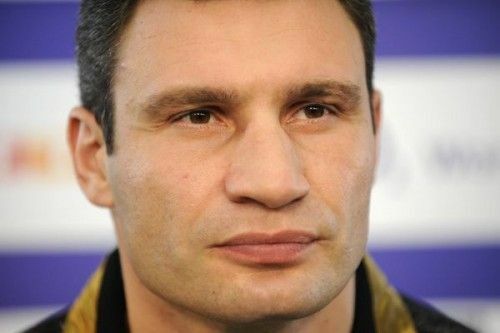 Klitschko having relinquished his WBC titles after retirement then proceeded to pursue a career in politics. Vitali Klitschko reveals what he thinks is going to happen in Joshua-Klitschko fight. The fight was announced soon after Joshua defeated Eric Molina effortlessly in three rounds two weeks ago and the notion of the upcoming star taking on a legend of the game has got almost everyone talking. In spite of boasting an outstanding record of 64 wins from 68 bouts, Klitschko actually goes into the fight as the underdog based on the almost all the bookies. And even though he might not enjoy much support among the 80,000+ spectator in attendance on the night, the Ukrainian nonetheless has the support of his big brother. Klitschko was just as lethal as his brother in the ring during his 17-year professional boxing career before he hung up the gloves to join politics in 2013.